PIONEERING automaker Henry Ford once said, “You must never, even for a second, let yourself think that you can fail. Our first principal is that failure is impossible.” Ford was speaking from experience, as his first automobile company went bankrupt in 1901, yet he maintained his focused self-confidence and persevered to eventually become one of the most successful entrepreneurs of the 20th century. You might argue that chartered professional accountants would have abundant self-confidence by virtue of successfully completing the grueling CPA qualification process. Yet many CPAs will experience moments of doubt or uncertainty in some of their career and personal quests. It is then that you need some basic tools to return to confident self-belief. In my previous articles, we explored mental preparation techniques for the principal success factors of Motivation and Performance Knowledge. In this article, we look at Self-Confidence techniques. Self-confidence is the self-belief and self-assurance that you will be successful. It is the steeled and infallible mental mindset that you will not fail. The rewards are yours if you are properly motivated, understand the path to success and are self-confident. Robert Gagnon, CPA, CA. Visit his website at Human Becoming. To begin, know that success is in your lifeblood. You not only achieved your CPA designation — no minor feat — but have a life full of successes. Consider the events during the course of your life where you had an intention and achieved the desired outcome and therefore demonstrated your ability to be successful. Examples could include wanting to and passing a test or exam, buying a car or home you desired, attending the university of your choice, marrying the partner you loved or getting the job you had wanted. You’ll find many such successes and conclude you have good reason to feel confident. However, sometimes you need to be reminded. Make a list of your accomplishments — everything from the simplest to the most difficult. Simply writing them out will reignite that mindset of self-confidence. Frustration, rejection, failure and doubt — these thoughts and feelings are often experienced on our journey towards success and achievement. Some like Ford strengthen their unwavering resolve while others may be discouraged and become waylaid. So we must accept that these bumps on the road are to be expected and, in fact, overcoming them sweetens the fruit of victory. Consider some other historical notables, like author Stephen King, who’s first novel, Carrie, was rejected by 30 publishers, until the 31st agreed to publish it. His books have now sold over 350 million copies. How about Walt Disney, who was told by his first boss that he lacked imagination, or Elvis Presley, who was fired after his first performance and advised to go back to driving a truck? Thus the path to success is rarely a smooth, straight journey. Motivate yourself with the stories and experiences of these and many other very successful individuals and their own triumphs over adversities. Knowing that others excelled in circumstances similar to your own serves as a powerful inspiration for you in dealing with your challenges. The self in self-confidence and in self-belief and in self-assurance refers to your own views and beliefs in your own being. Do you believe in yourself and have the faith in your ability to succeed? The answer to this question is often revealed in the thoughts you have and the words you speak. William James, the 19th century psychologist, said “It is our attitude at the beginning of a difficult task which, more than anything else, will affect its successful outcome.” The 20th century showcased a long list of researchers, like Napoleon Hill, who extolled the virtues of positive thinking in creating positive outcomes. Today, scientists such as Bruce Lipton and William Tiller are confirming this very basic idea — positive thoughts create positive outcomes and positive thoughts reflect positive self-belief. To nurture positive thinking you can use what are called affirmations. Affirmations are positive statements that help you maintain self-confidence and overcome negative thoughts and deal with the bumps in the road. You are engaged in a dialogue with yourself, with affirmations such as “I am successful,” or “I am capable of great achievements.” Barack Obama used “Yes We Can” to great advantage in his presidential campaign. You can modify it to simply “Yes I can”. In the previous articles we used the example of a board presentation, where it was determined that being “informed, confident and polished” was an important element of the written intention or objective. 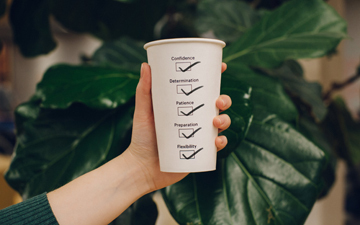 So we could use those words in a daily affirmation, “I am prepared, confident and polished.” Choose affirmations that are short and simple and repeat them often. This internal dialogue will build self-confidence. 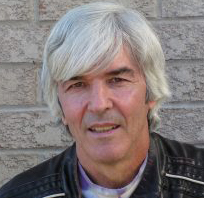 Robert Gagnon CPA, CA, is a teacher and writer focusing on personal and professional development. Visit Robert’s website at Human Becoming. He can be reached at essex@total.net. Photo by Jose Silva from Burst.